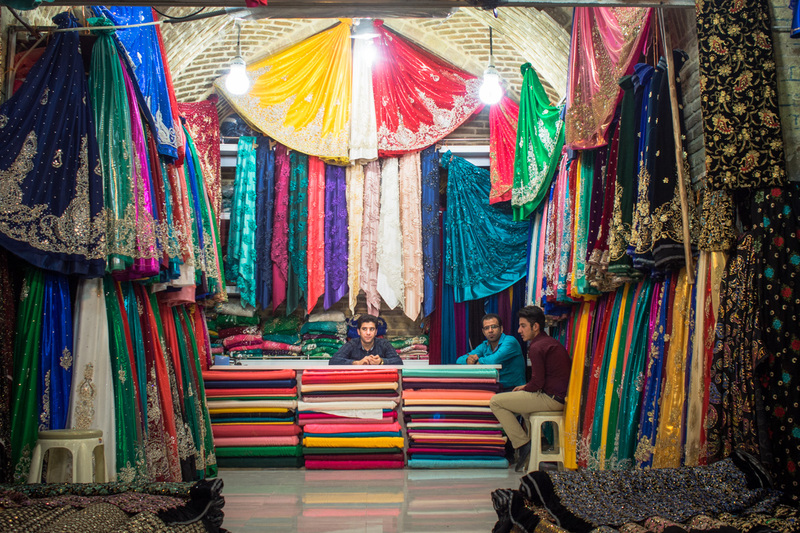 To help inspire you for your trip to Iran, we’ve put together a photo gallery of the best bazaars to visit in Iran from the Grand Bazaar in Tehran to the Vakil Bazaar in Shiraz. 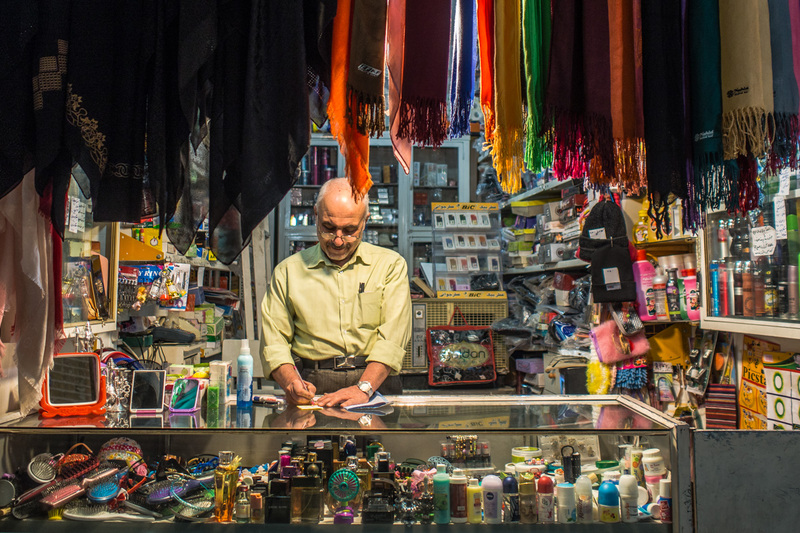 For centuries, the bazaars have been the colourful and exotic glue that kept Iranian society together. 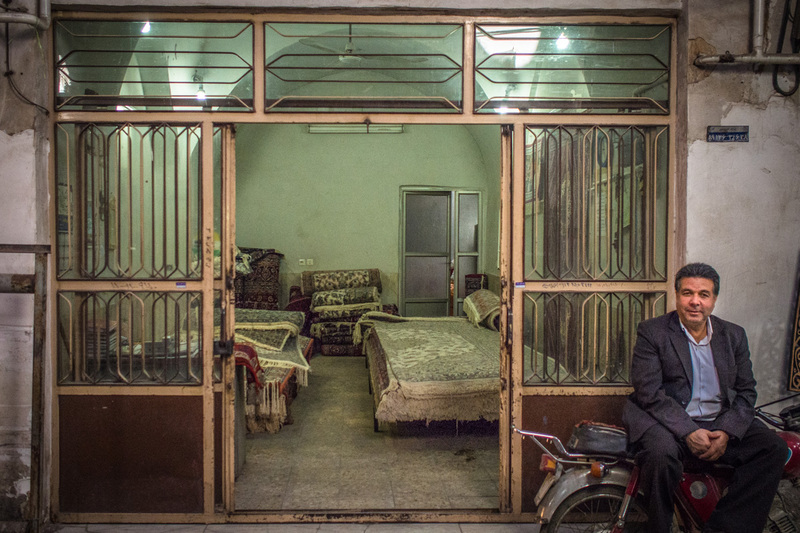 They’re the place the locals go to drink tea, to shop, to hang out, to do business, and to pray. 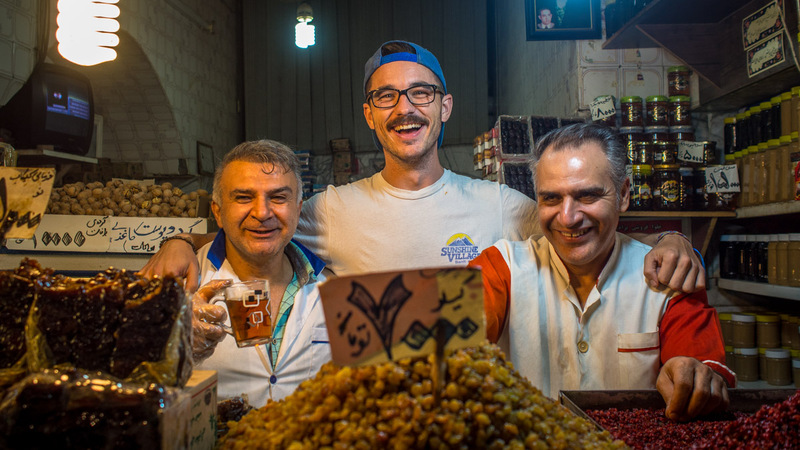 The lack of tacky souvenirs and pushy merchants make a stroll through these marvellous markets an authentic experience with new, unexpected sights waiting around every corner. 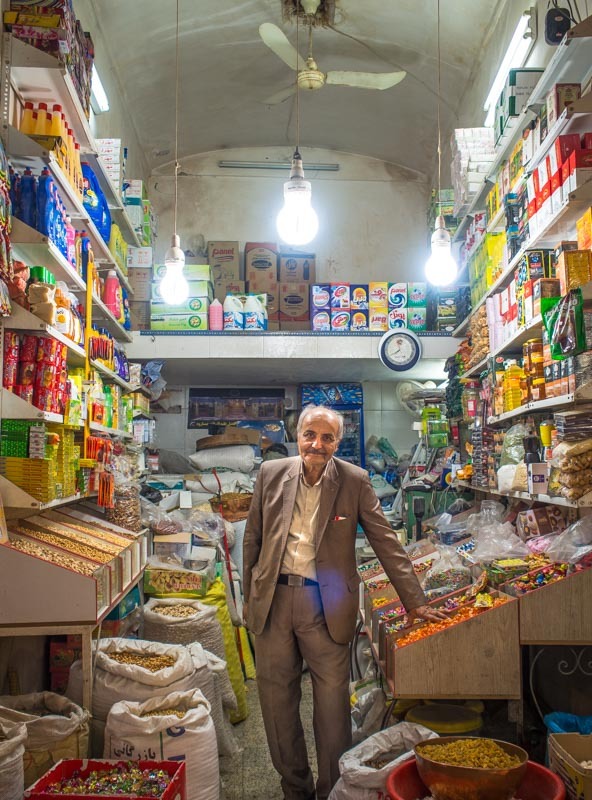 From the outside, the grand bazaar doors bear no sign of the bustling maze that lies behind them. 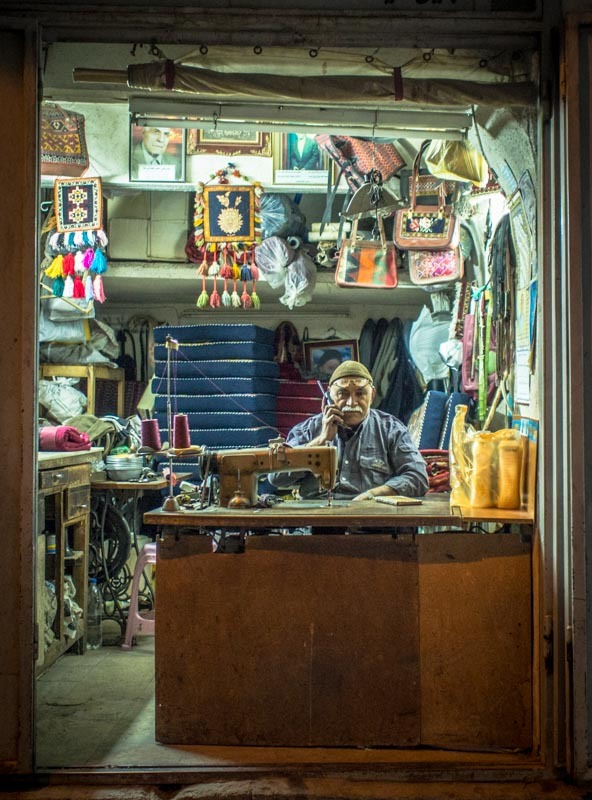 With narrow alleyways constantly branching out left and right, you can stroll from a packed main street straight into a quiet corner only frequented by lost gringos and the occasional local housewife hunting for some obscure trinket. 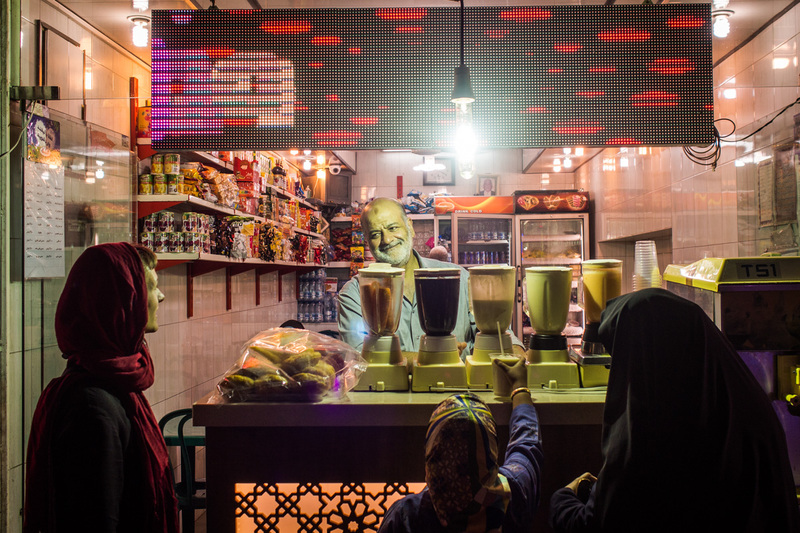 Wherever you go, you’ll hear the constant sound of hundreds of men and women yelling, laughing, and chitchatting away as you squeeze through the crowds. 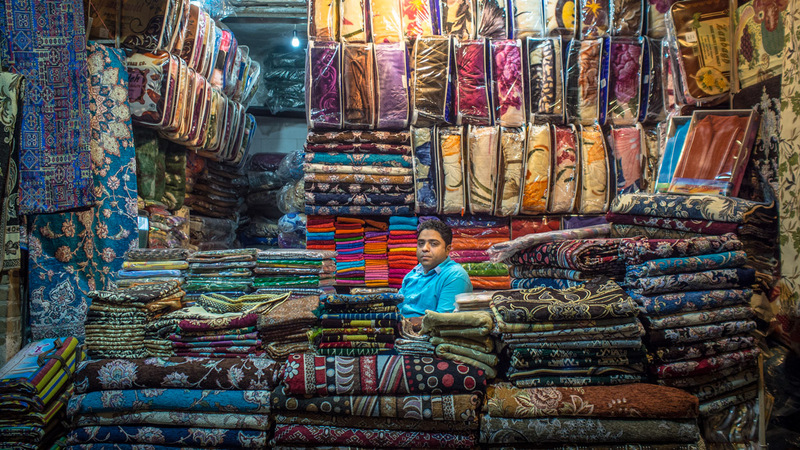 Although they might seem unorganized to the untrained backpacker eye, the bazaars are actually divided into sections. 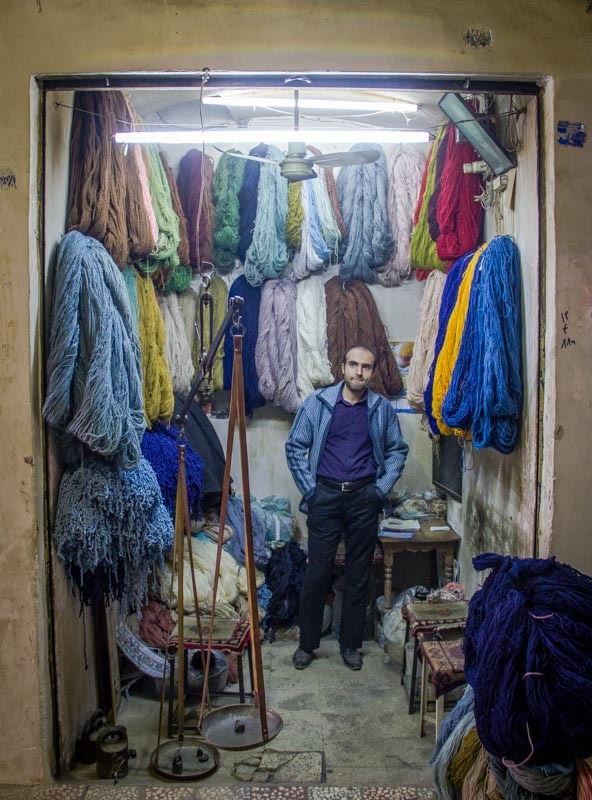 One is dedicated to fabrics, flowing over with anything from wool dyed in all the colors of the rainbow to fabric rolls ready to turn into colorful wedding dresses. 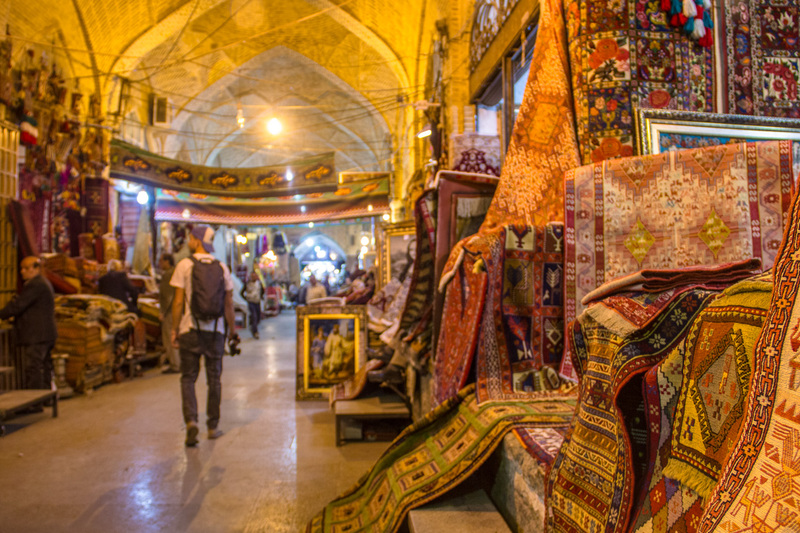 Any self-respecting bazaar in Iran will also have a large Persian rug area where you can purchase a $6000 souvenir for your mum if you have some spare change kicking around. 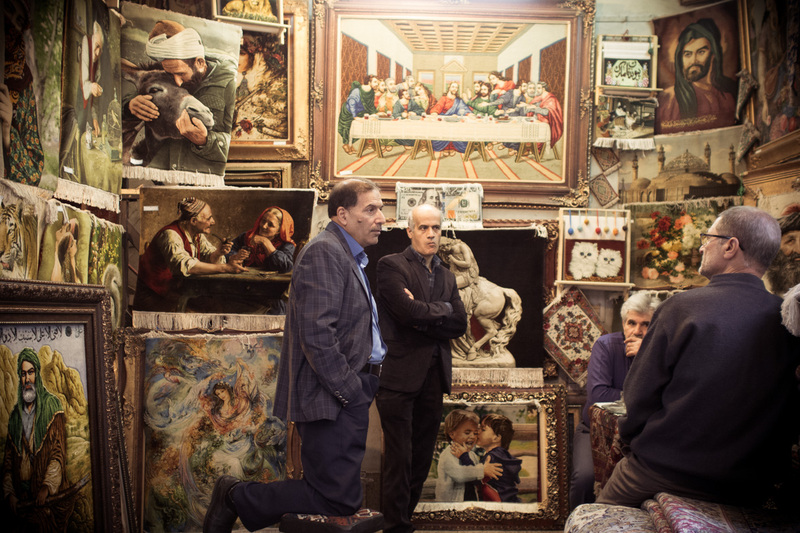 Or perhaps she’d prefer a framed rug replica of Mona Lisa to decorate the walls? 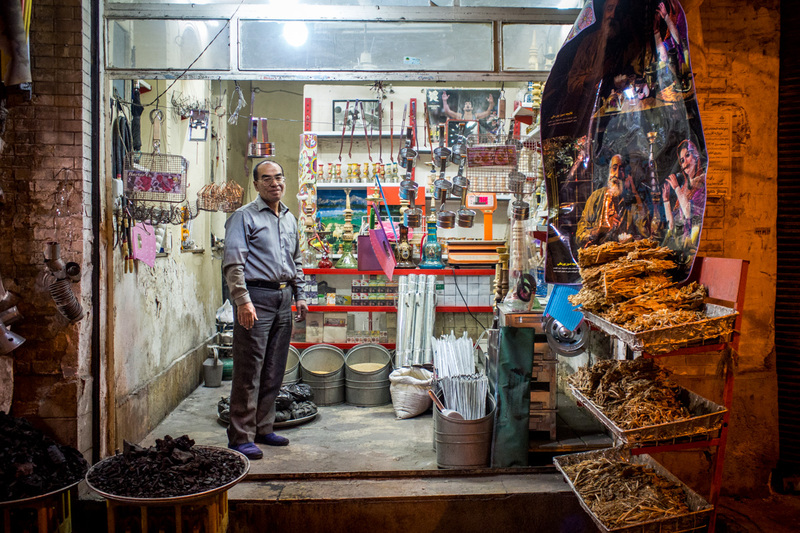 In a different corner of the bazaar testosterone fills the air. 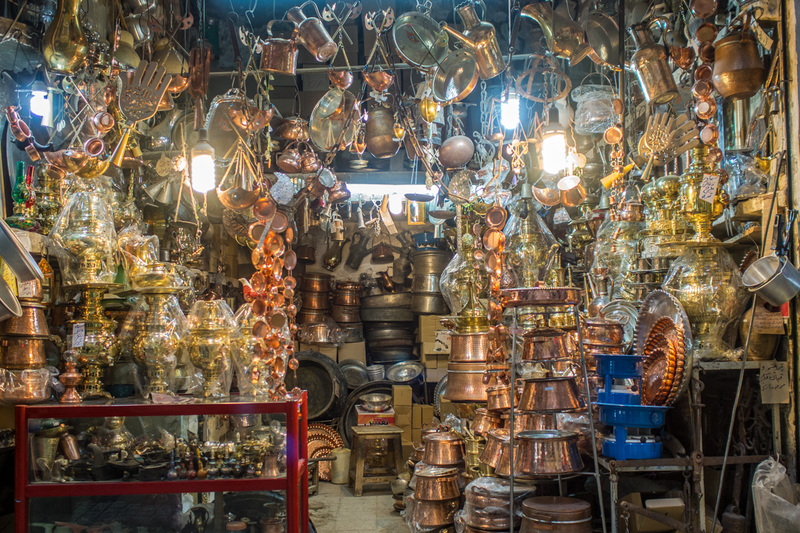 In an effort to make the perfect horseshoe, one merchant sends spark flying while he bashes red hot metal into shape. 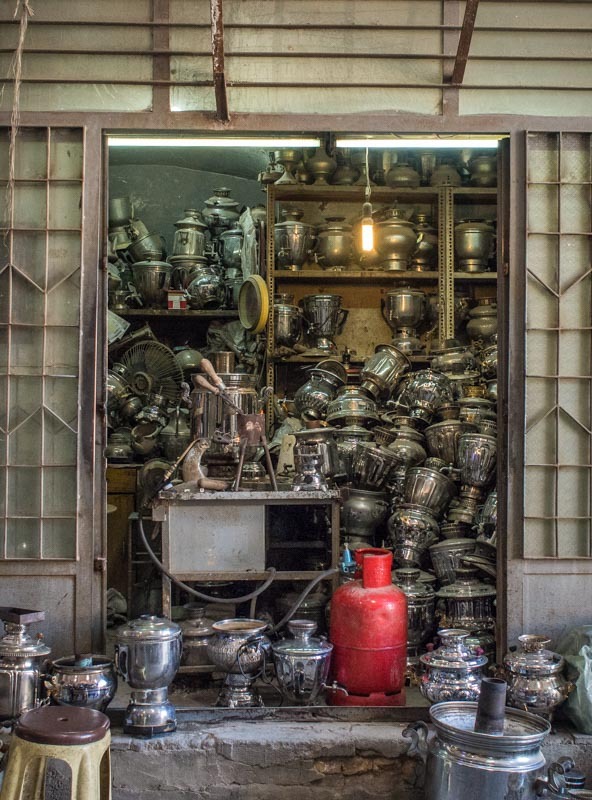 While next door, brass pots and pans are crammed into every corner of the tiny shop and an old man watches life go by with his bird cages by his side. 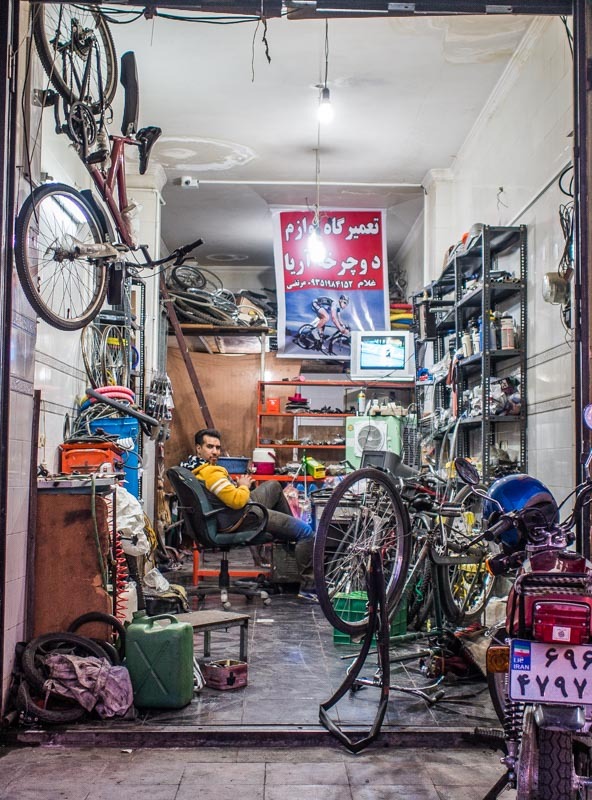 Another merchant has his eyes glued to his favorite Iranian soap opera, as he waits for the next broken bike to roll into his workshop and a little further down the alley, a few guys wait to offer black market rates to eager gringos looking to get their hands on some sweet Iranian rials. 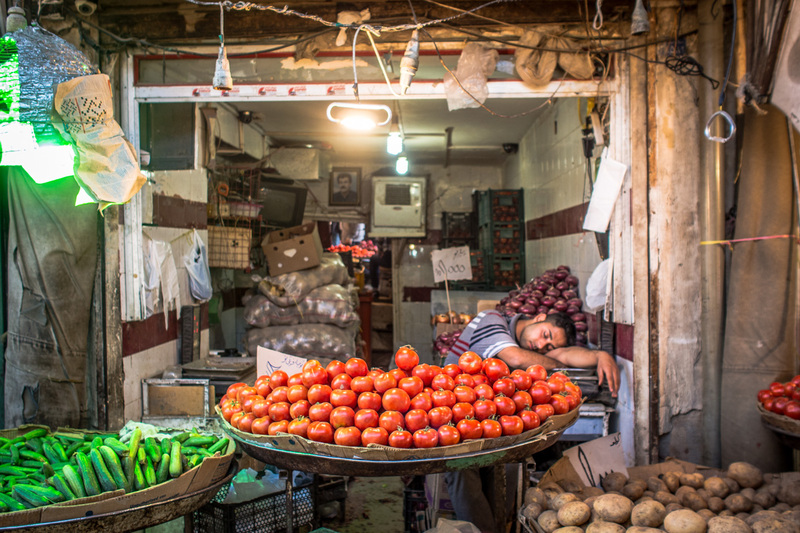 Then after a long day a fruit salesman has a siesta in his shop, leaving his bright red tomatoes to sell themselves. 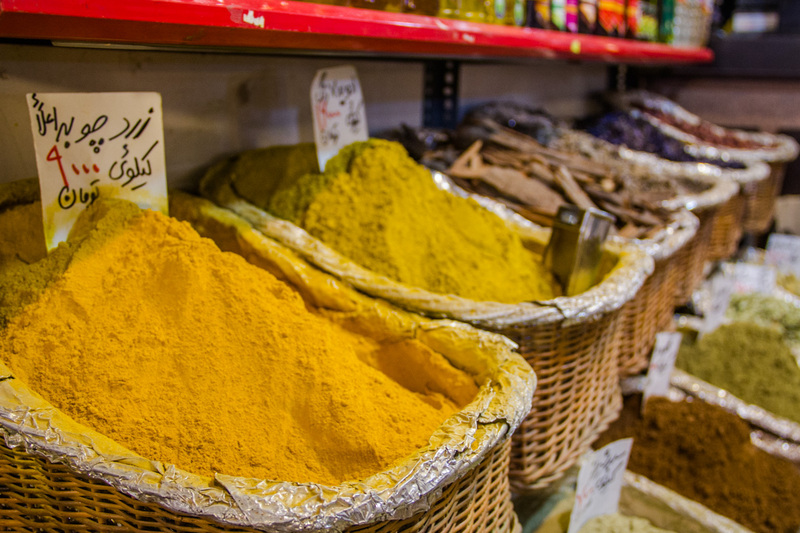 Follow your nose and venture into the food section of the bazaar where baskets full of colourful spices you never even knew existed line the alleyways. 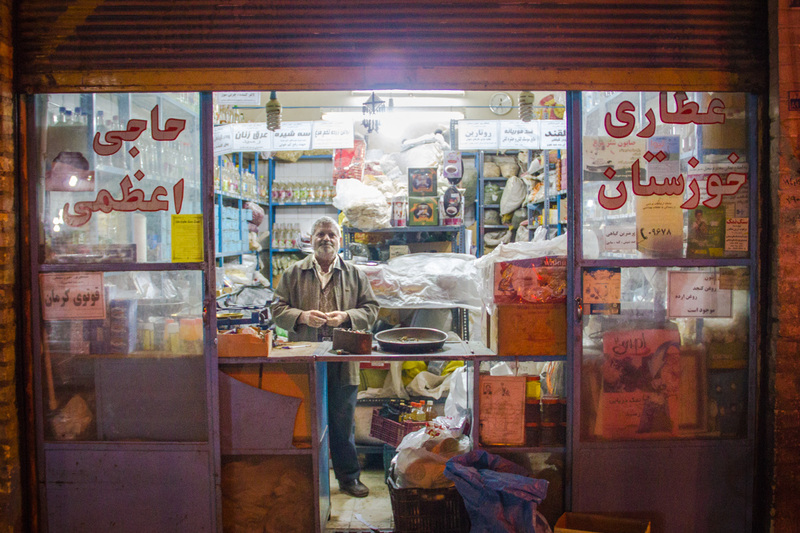 Stock up on some of the cheapest saffron in the world or grab a dirt-cheap, refreshing milkshake while showing off your gringo Farsi to the fruit man. 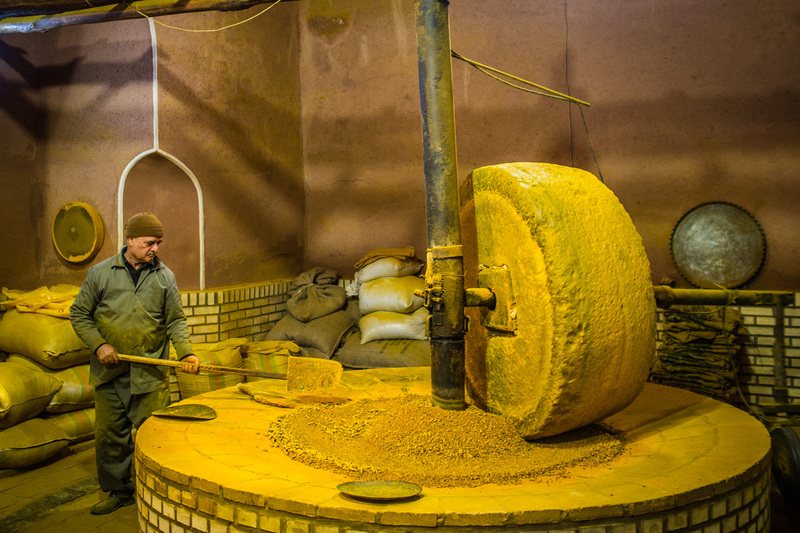 Peek behind a half-closed door and get invited into a back-room turmeric shop where the workers still follow century-old techniques to grind the spice. 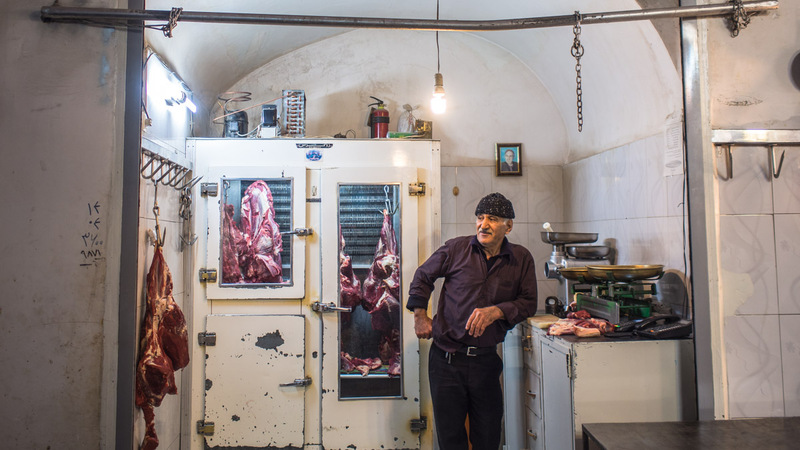 Or, if you’re feeling adventurous, you might swing by the butcher to pick up some fresh meat for a traditional Iranian dish. 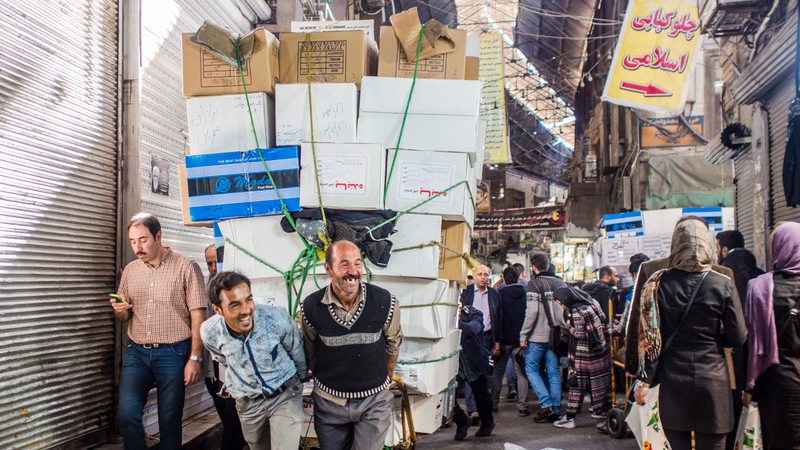 Throughout the bazaar, you always have to look out for the heavily loaded carts that squeak by without much concern for pedestrians or general traffic rules. 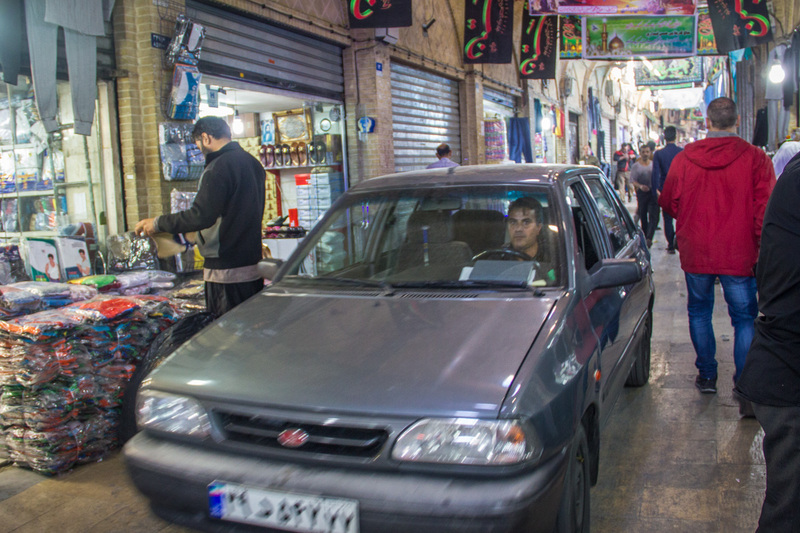 The narrow alleyways also don’t deter a few cheeky drivers from taking a shortcut through the bazaar, forcing merchants and customers to seek refuge in the nearest shop. 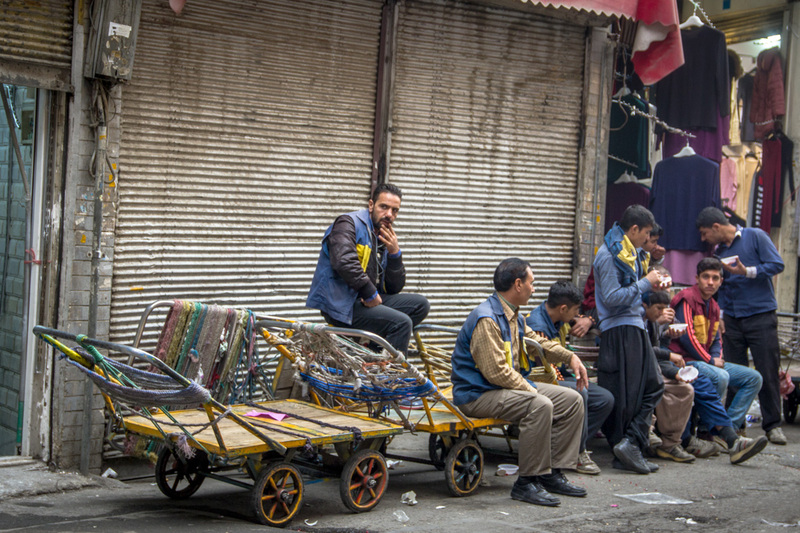 When the cart guys are not busy transporting a seemingly endless flow of rugs and cardboard boxes around the bazaar, they sit around telling jokes, sipping on a well-deserved tea. Maybe they’re even sharing opinions on the latest women’s underwear fashion? 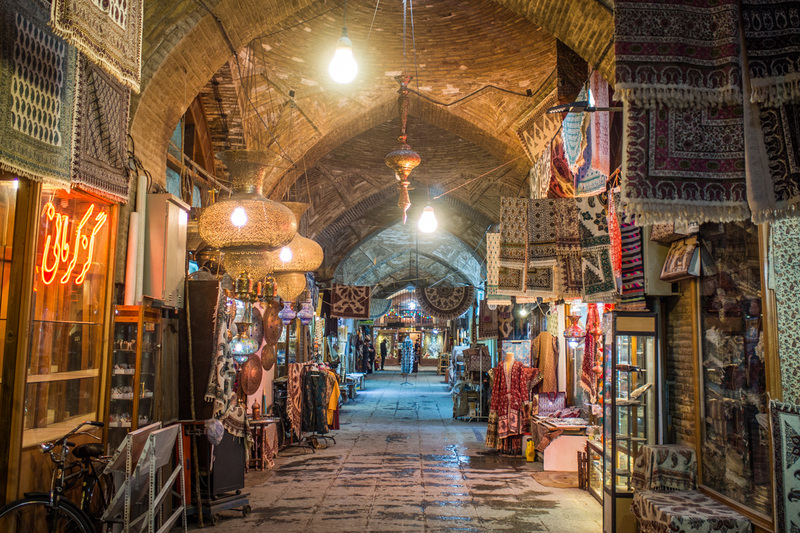 Which Are The Best Bazaars in Iran? 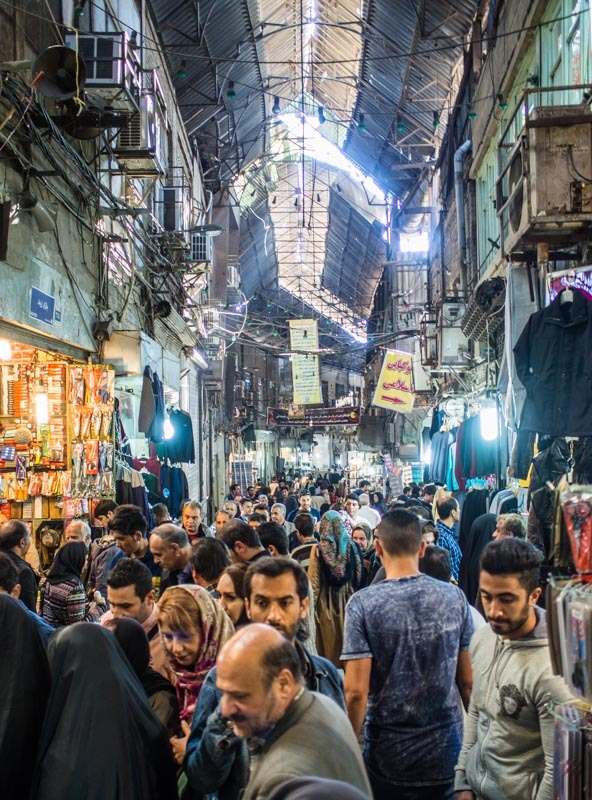 Grand Bazaar Tehran: very busy and full of locals doing everyday shopping. 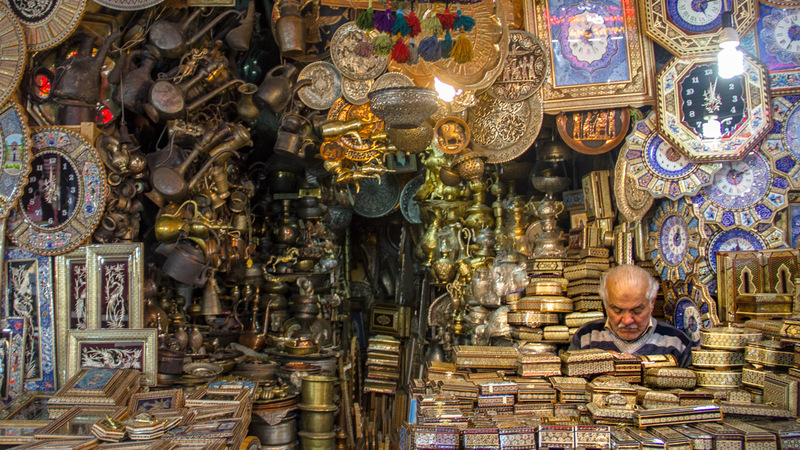 You can find everything and anything in this bazaar. 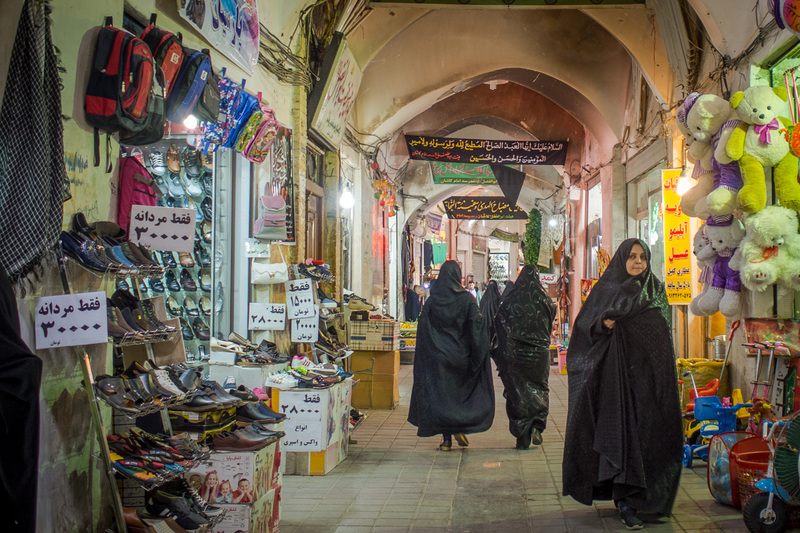 Kashan Bazaar: great place to get some shots of a quieter bazaar. If you ask around you can even get on the roof for some stunning sunset shots. 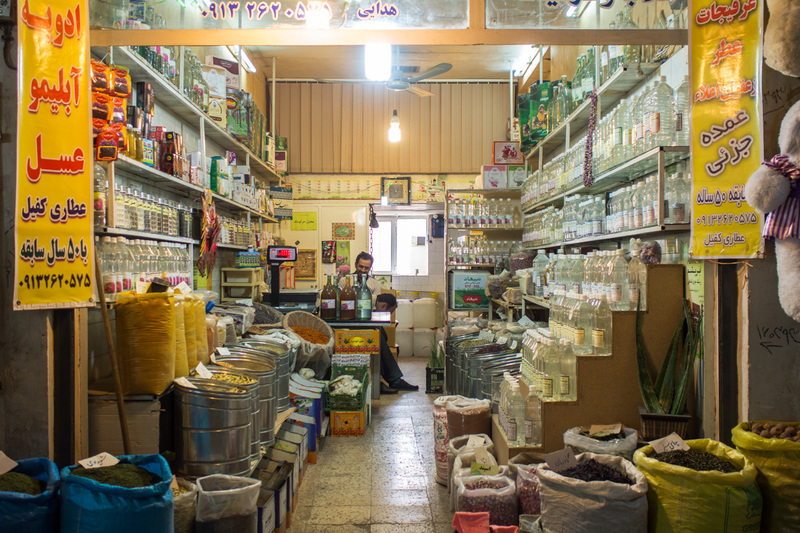 Tabriz Bazaar: lots of spices, carpets, and herbs here that all stem back to the bazaar’s formative years on the Silk Road trading route. 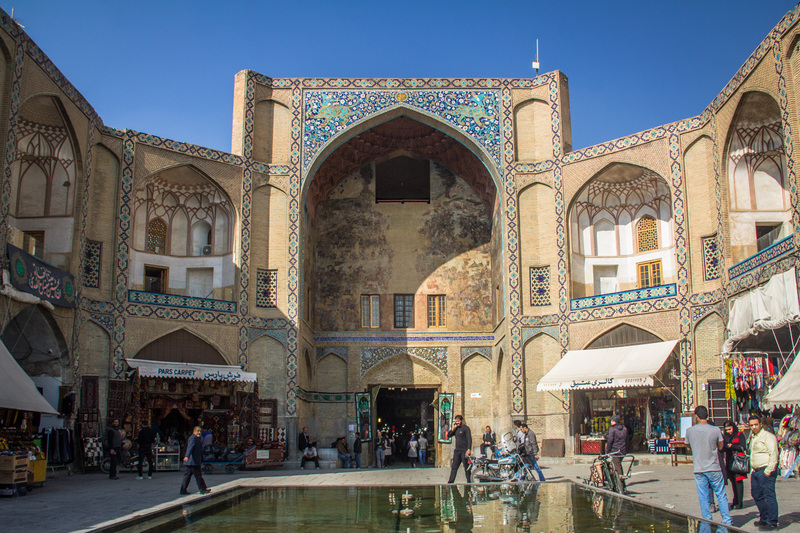 Because of this, it has also been given a UNESCO World Heritage listing. 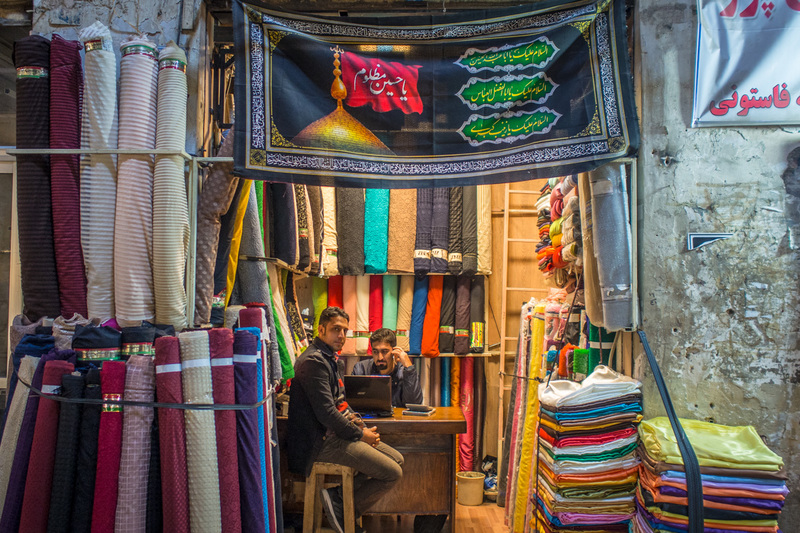 Vakil Bazaar Shiraz: beautiful roof tiles and a very well-kept bazaar. It does seem to not be as genuine as the other bazaars, with it even boasting signs for “no photos allowed”. 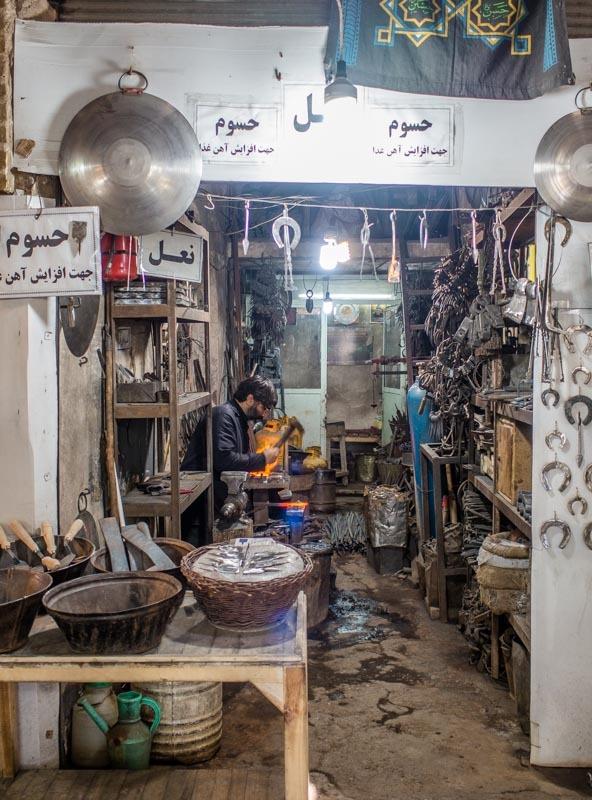 Esfahan Bazaar: the shops around Naqsh-e Jahan Square are quite touristy, but there are some fun shops for metal work in one section. 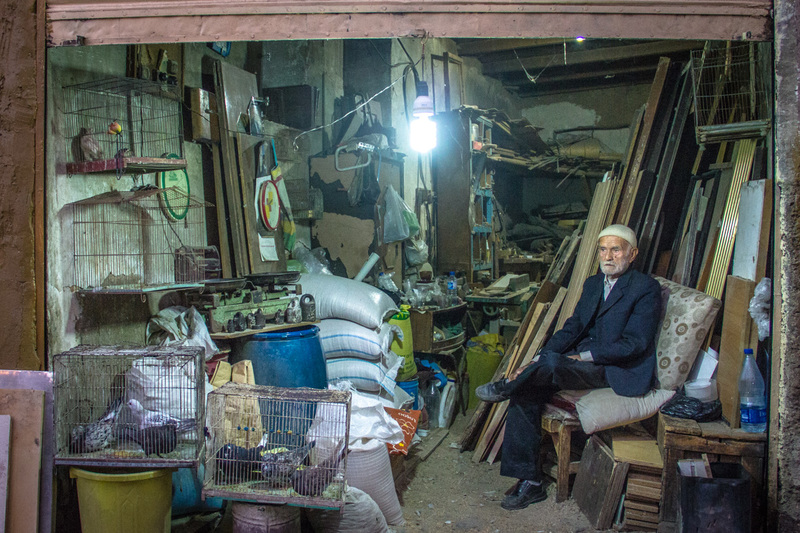 Once you go through Qeysarie Gate and into the grand bazaar of the city it’s a different story. 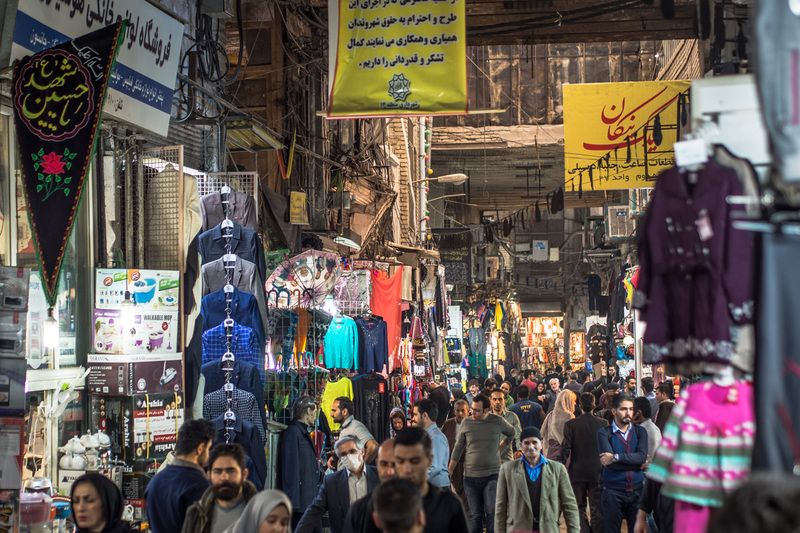 You’ll then find a mesmerizing market with hundreds of shops where you’ll spend far too many hours meandering around. I love this camera! To me, this is one of the best options for a great travel camera. 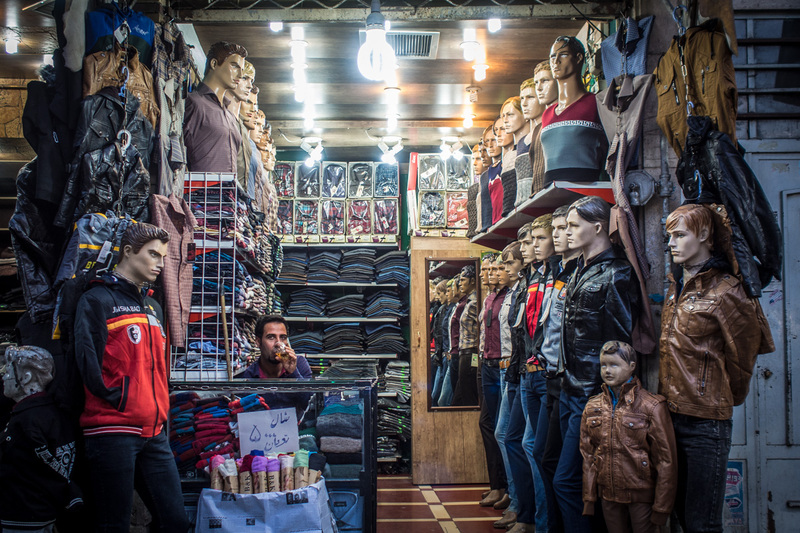 The Olympus OMD E-M5 is one of the front runners in the mirrorless micro four thirds range. This beast takes fantastic photos, it’s small, feels like it’s built to last and has the added bonus of being weather sealed! This means you don’t need to worry as much about those dust storms in Iran or the sprinkles of rain back home. The best bit is that I’m still rocking the original from 2012 which is as cheap as some entry-level point-and-shoot cameras, except it’s 100 times better! The best bit, though, you can get your hipster on with it’s retro 70’s look. Check out the full specs and prices here. This is Mariana’s much-loved and well-used go-to camera that sadly isn’t manufactured by Canon anymore since it first started rolling off the production line in 2010 (Canon 700D is today’s equivalent). In any case, this piece of kit is a great option for anyone who wants an entry level DSLR camera. It’s not as portable as our Olympus, but it takes some damn fine photos once you get the hang of it. Check out the full spec and prices here. 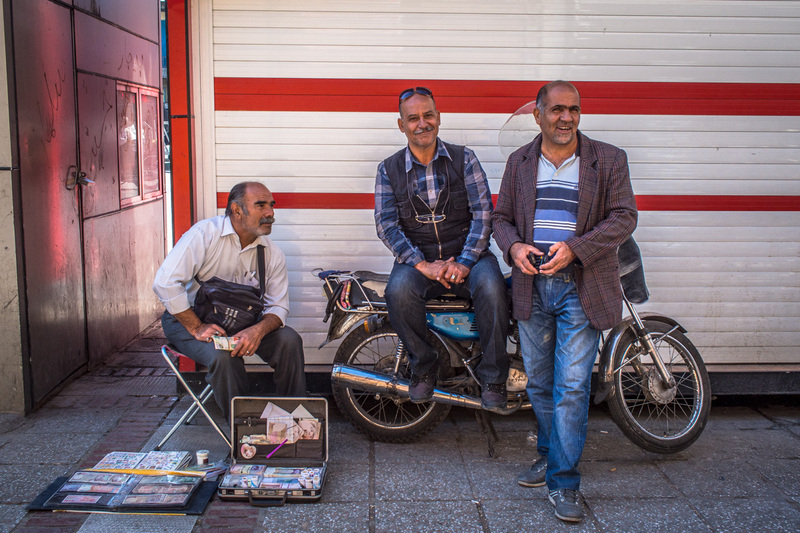 When we don’t have our big cameras handy, our phones aren’t far from our hands. The iPhone 6 has a great camera and takes some fantastic shots if you get your lighting right. Sometimes we even prefer to use our phone over our big cameras so we can be a little more sneaky with a great result. Check out the full spec and prices here. Disclosure: there are affiliate links in this article. 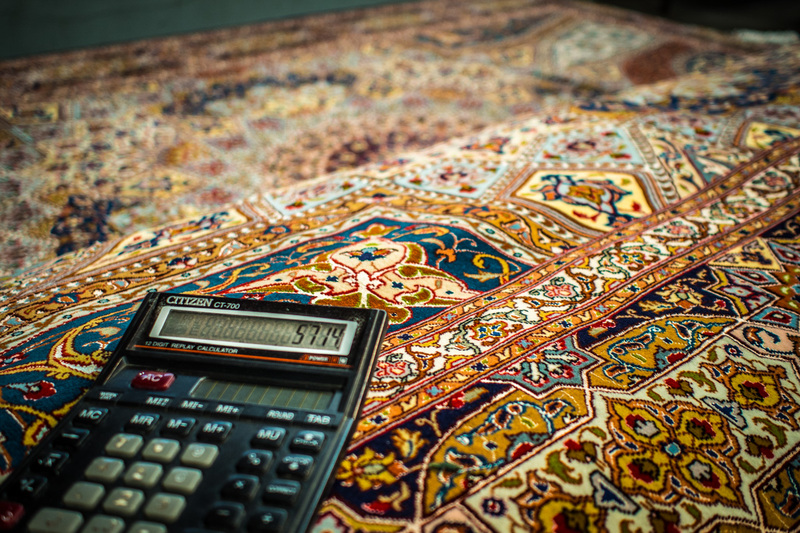 This means we get a small commission from the company if you buy their product at no extra cost to you. We only use affiliate links for companies/products we have personally used. Just think of it as if you were buying us a beer to thank us for the work we’ve put into this post.